Whether you serve them with eggs or between a bun a chicken patty is a nice way to change things up a little. Pour a half a cup of milk into a cup of panko or bread crumbs and let sit. Then, in your Cuisinart pulse a couple of garlic cloves, half a bunch of scallions, kosher salt, pepper, a teaspoon of spice such as Lawry’s or Old Bay, and a couple squirts of your favorite hot sauce. Cut up a pound of chicken into one inch chunks, it’s best to use all thighs or at least a 2 to 1 mixture of thighs to breast meat, then pulse them together with your garlic scallion spice mixture until coarse. Scrape your chicken mixture into a bowl and stir together with a lightly scrambled egg and your soaked bread crumbs. 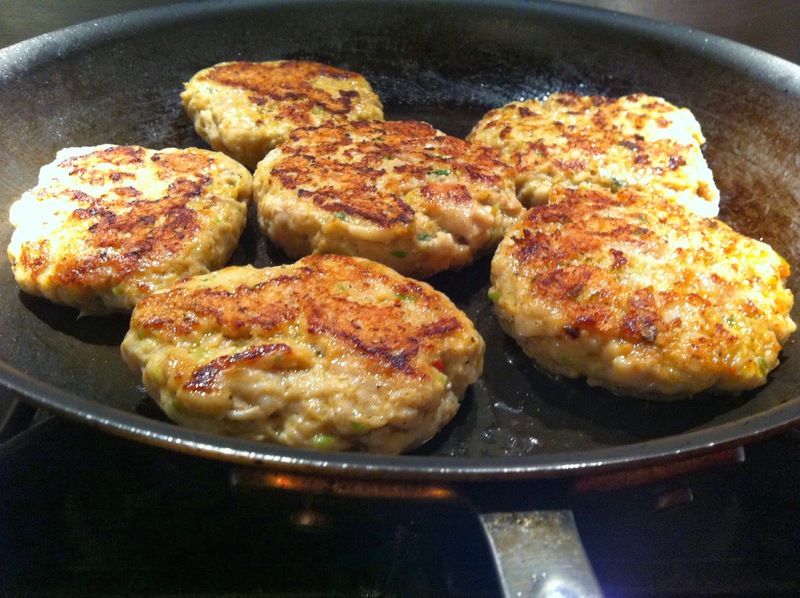 Before making the patties I like to taste the mixture by placing a small spoonful into a hot pan until cooked through. Add more salt or spice if necessary, form your patties, and cook on the stove top or BBQ. You can easily change these up to suit your mood by substituting Indian, Mexican, or Asian spices instead of the Lowry’s or Old Bay.